NPQ has written many times about nonprofits underestimating the potential impact of a change in local government. Especially when a nonprofit occupies facilities that are subsidized or need to be approved by the local government, problems can arise. 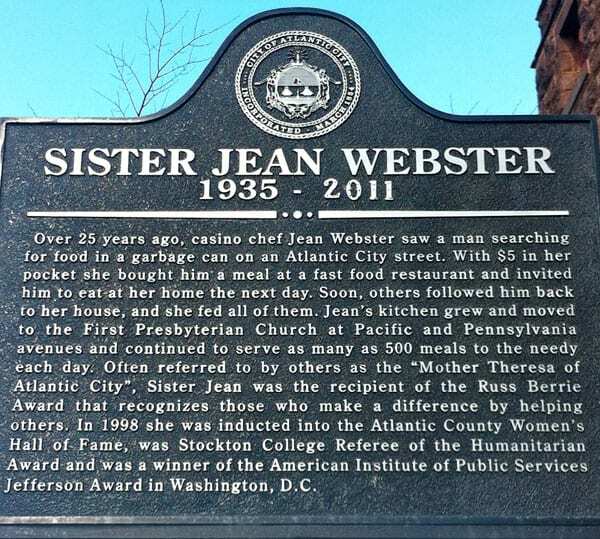 Jean Webster’s Kitchen in Atlantic City—better known as Sister Jean’s Kitchen—was founded in 1986 by Jean Webster, Atlantic City’s first female sous chef, after an encounter coming home from work. As she approached her home, she saw a homeless person digging through the trash for food, and a small voice inside her instructed her to feed him. Relying on her faith, she did so, and over the next few months, feeding people became her purpose. From there, the hospitality kitchen grew, incorporated as a nonprofit, found a permanent facility, and developed into a nationally acknowledged full-service food operation. Sister Jean died in 2011, but the kitchen has continued to serve meals to 300 to 400 people a day. While the nonprofit filled a critical need in the city, obstacles and unfulfilled commitments led to it being put in a compromising position. Last Thursday, after a couple years of attempting to relocate, the nonprofit ceased operations at the church where it was housed, as the city declared the site unsafe for occupancy. The closing of Sister Jean’s Kitchen rests largely on unfulfilled commitments, communication breakdowns, and politics that came after negotiations a couple years ago with local development entities. Since 1997, the kitchen served over 1.5 million meals at Victory First Presbyterian Deliverance Church, which is located across the street from the closed Trump Taj Mahal, in an area targeted for growth and expansion. Although sometimes development priorities and high traffic social services can clash, it appeared that in Atlantic City, the opposite was true. In June 2017, the Casino Reinvestment Development Authority (CRDA), a unique development agency that uses casino reinvestments to catalyze meaningful and positive improvement, made the decision to support Sister Jean’s Kitchen with $1 million in funding to assist with relocating to a nearby church. The CDRA has invested over $1.8 billion in Atlantic City and has targeted the area where Sister Jean’s Kitchen is located as a priority area for redevelopment. Known as the Pacific Avenue Midtown Redevelopment Project, this project sought to redevelop 4.2 million square feet of defunct casino hotel space into a state-of-the-art casino, hotel, retail, dining, and entertainment facility. Given this development pressure, Sister Jean’s Kitchen, along with the John Brooks Recovery Center, were put into a position to relocate out of the Casino Tourism District. The $1 million investment from CDRA was to fund renovations and improvements to Saint Monica’s Catholic Church, which was less than two blocks away from Sister Jean’s Kitchen’s existing facility. Improvements to be funded included bringing the new facility up to code, purchasing and installing commercial kitchen equipment to allow for the continuity of services, demolishing a rear building to establish a parking and loading area, and for minor environmental remediation. At the time of the funding commitment, Sister Jean’s Kitchen was viewed favorably by the previous mayor of Atlantic City, Don Guardian, who noted, “The new location, which is two blocks away, will be closer to where people live. There are no others looking at St. Monica’s, and this is an excellent social-service use for it.” Relying on the commitment to assist with remodeling and ensuring that the new church location would be up to code, as well as guidance from the city, Sister Jean’s Kitchen purchased the buildings at the St. Monica’s Church location. However, the subsequent move, and investment to remodel, was never made. According to Sister Jean’s Kitchen staff and board, the openness of the city shifted with a change of administrations to Mayor Frank Gilliam. Furthermore, the CDRA, along with the funding commitment, made the funding contingent on approval of the development plans for the St. Monica’s site. Unfortunately for Sister Jean’s Kitchen, the CDRA has found flaws in the plans to move to the new site, and hence the remodeling investments have not been made. All of this led to the city giving Sister Jean’s Kitchen a 72-hour notice to vacate its facilities last week, leaving the nonprofit scrambling to move supplies, food, and equipment, and leaving the people that relied on the nonprofit’s hospitality searching for other options. In the face of this new gap, some have suggested that partnerships could multiply and extend the dollars to feed more people. In this case, the Atlantic City Rescue Mission is increasing its meals to help cover the need of those who depended on Sister Jean’s Kitchen, and has already seen some attendees of Sister Jean’s Kitchen at its meal services. The board and staff of Sister Jean’s Kitchen is looking for another location, and last week they met with city and state officials to discuss a plan moving forward. In addition, a community-led petition is being circulated to raise attention and encourage the current mayor to act and help resolve this issue.